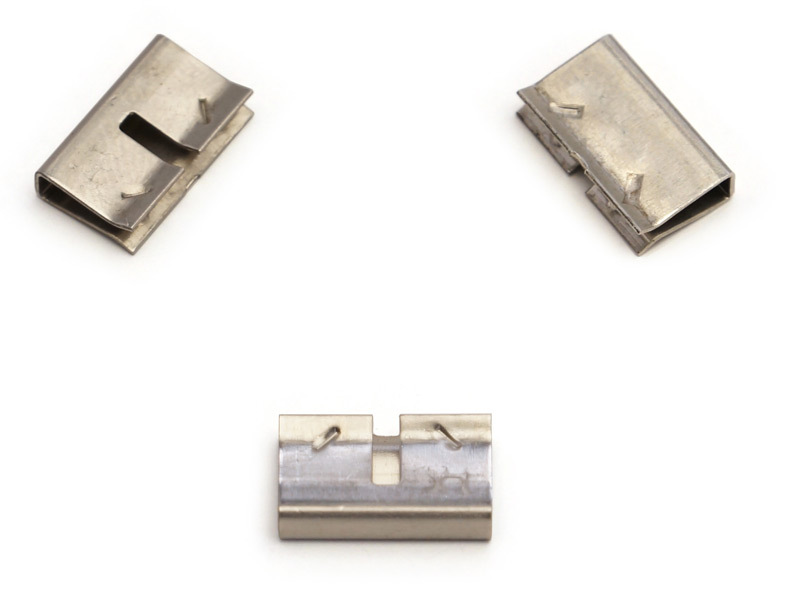 This stainless steel bridging clip is used within a Bridge Connector application, and the packaging was incorporated into the manufacturing process. We began by custom designing and building both the project's tooling and packaging systems. Utilizing a #28 US multi-slide, we stamped, formed and packaged the .500" long, .125" wide, .281" high and .015" thick clips at an impressive rate of 200 strokes per minute (25pcs. Per Bag). We were able to hold tightest tolerances of ±.010" throughout the entire process. After inspecting the .00144 lb clips, we shipped 2,000,000 parts to the client's Harwood Heights, Illinois location annually. If you want to learn more about this project, please see the details below. To find out about our other services, contact Superfine today. 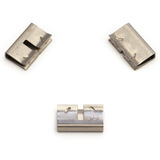 This stainless steel bridging clip is used within a Bridge Connector application, the packaging was incorporated into the manufacturing process.